Acupuncture isn’t new. It originated in China and has been used for over 2,000 years. And while it’s become an increasingly common approach for people dealing with pain, stress and sleeplessness (and for pets dealing with those things, too), you might still have questions about what to expect. 1. What exactly is Acupuncture? The treatment itself involves the placement of single-use, sterile pins along specific anatomical landmarks or “points” along the body. In a traditional Chinese view, these points are moving “qi” (pronounced chee) or the energy that runs through your body. Although this might seem strange from a Western scientific view, qi is quite tangible: it’s everything that runs through your circulatory system, including your blood, lymphatic fluids, nutrients and hormones. It’s what keeps your body running. More research on acupuncture is able to demonstrate how it regulates hormones, promotes circulation and reduce stress by shifting your nervous system from a “fight or flight” (sympathetic) state to one that is able to “rest and digest” (parasympathetic). It is in this “rest and digest” state that your body is able to relax and heal itself. Pretty cool, right? 2. Who might find acupuncture helpful? Great question. Since Acupuncture works systemically by regulating your body’s internal systems (nervous, endocrine, digestive and reproductive, etc. ) this makes it useful for a variety of health concerns. To name a few is hard, but it is commonly sought out and beneficial for pain relief, sports injuries, allergies, headaches, digestive issues (IBS, nausea, heartburn, etc. ), insomnia, and mental-emotional conditions like anxiety and depression. Acupuncturists consider your medical history, lifestyle, work habits, relationships, diet, digestion, emotions and more to come up with an individualized diagnosis and treatment that addresses not only the expressions of your health concerns, but the underlying causes as well. In that sense, you are treated as a whole person, not just a symptom. In my clinic, nearly all of my patients are women, which affords me the opportunity to support them through life’s various stages with conditions, well, specific to us! Women with premenstrual syndrome (PMS), irregular cycles, pelvic pain from underlying conditions like endometriosis or PCOS and hot flashes or other symptoms of menopause can benefit from acupuncture. 3. Does it hurt? What if I am afraid of needles? No. Acupuncture does not hurt—nor should it! Acupuncture needles are drastically different from hypodermic needles used to draw blood. For starters, acupuncture pins are so small and thin that you can fit 20 in a single hypodermic needle—you can Google a picture of this! Acupuncture pins are just wider than a strand of hair and, to many people’s surprise, have a rounded tip. This makes them essentially sensation-free when inserted. Acupuncturists are trained for years in how to provide treatments that are gentle and painless so that you can relax. 4. Do people attend multiple sessions over time or just once or make it a regular occurrence? Treatment frequency really depends on the patient, the severity of their condition and how long they’ve had it for (acute vs. chronic). Most patients attend multiple sessions over time and, once their symptoms improve, we space treatments out from there. I have found that I get quicker, sustained clinical results when I see patients more consistently at the beginning. This is because acupuncture works cumulatively, just like learning a new skill or exercising. Treatments and any effects need time to build on one another to become long-lasting. I wish Acupuncture was magic—and I know it seems like that to some people—but similar to conventional medicine, the body needs steady reminding on what it’s being asked to do or it will revert back to a state of sickness and disharmony. 5. Do people use it for relaxation? Oh yes! Relaxation and improved sleep are the most common side effects of Acupuncture—even if that’s not what you’re coming in for. Patients use their treatments to pause from their busy lives and literally nap if they need to. Lying under a heat lamp and cozy blankets makes that easy too…and napping is encouraged! Remember, it’s all about returning to that “rest and digest” state. 6. What else should people know before considering acupuncture/making an appointment? Acupuncture is safe when practiced by a licensed clinician. When choosing an acupuncturist, make sure they have “L.Ac” (Licensed Acupuncturist) designated after their name and their diplomate status (Dipl. Ac or Dipl. AOM) from the National Certification Commission for Acupuncture & Oriental Medicine (NCCAOM). 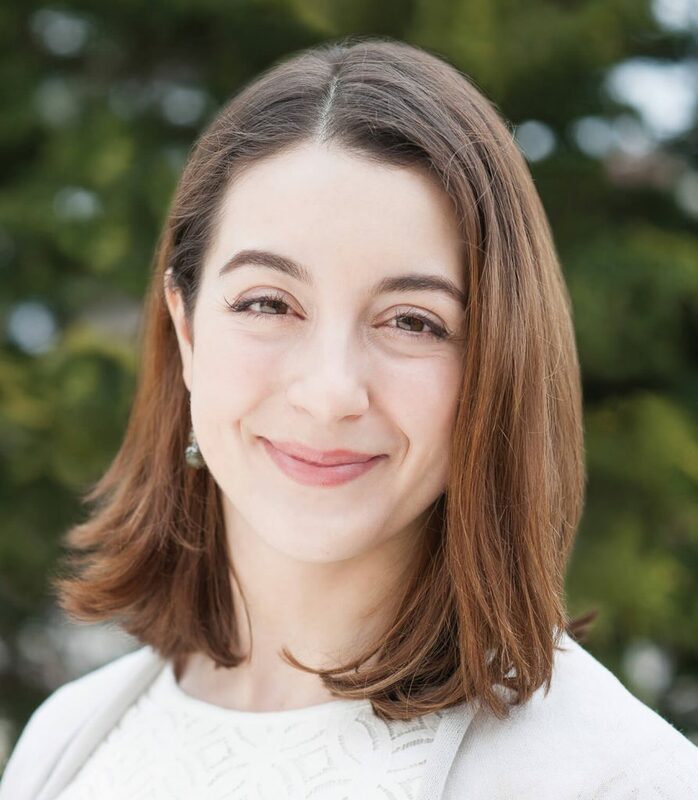 Lauren Renee Dyer is the Licensed Acupuncturist (L.Ac) of Empower Chiropractic & Acupuncture in New Gloucester, which she owns with her husband, Dr. Travis Dyer, DC. She has Master of Science in Acupuncture and Diplomate Status from the NCCAOM and is currently earning her Doctorate of Acupuncture (D.Ac).